Dr. Battle is CEO and founder of Washington, DC’s renowned Cultura Cosmetic Dermatology and Laser Center, a ground-breaking medical practice merging dermatology, laser surgery, plastic surgery, and spa therapy. His office is always filled with physicians seeking advance training and patients from all over the world who seek out his expertise. His 3 year pioneering research at Harvard helped to invent the new generation of non-invasive “color blind” cosmetic lasers opening up the field to patients of all cultures, regardless of skin of color or ethnicity. He is one of the most sought out teachers and lecturers in the field of cosmetic laser therapy. Dr. Battle is the Co-Chair of the Skin of Color Seminar Series, May 5-6, 2018 in New York City. 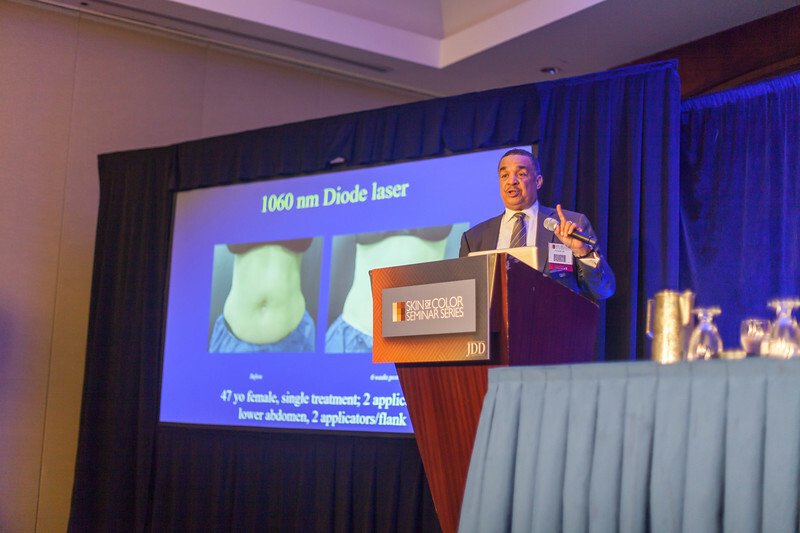 During the 2017 event, he shared his top parameters for success in treating skin of color patients with lasers and devices.